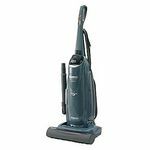 Bissell Rewind Premier Pet, 67F8 Fully equipped with a helix system, 12 amp motor, and complete set of pet tools, this bagless upright vacuum cleaner provides maximum pet hair pick-up and cleaning performance. 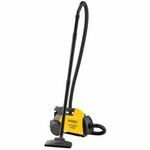 With continuous suction, the unit effectively removes pet hair, dust, dirt, and dry spills from both carpets and bare-floor surfaces, while the stretch hose and on-board attachments make above-floor cleaning a snap. The Pet Hair Lifter is a patented attachment that removes deeply embedded pet hair from your carpets and area rugs with its unique lint brush. 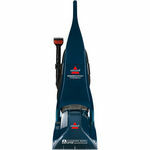 The pet hair collects on the lifter as you pull the vacuum back, and self-cleans by releasing the hair into the path of the vacuum as you push the vacuum forward. 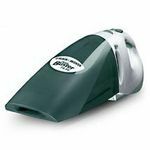 Along with the Pet TurboEraser Tool for stairs and upholstery, you will be amazed by how much pet hair you will see in the Easy Empty Dirt Container! 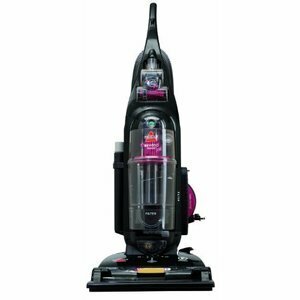 This unit also features a 25 foot power cord with automatic cord rewind for easy and convenient storage, as well as a clean filter indicator that will monitor air flow and let you know when itâs time to clean your filter to maintain peak performance. 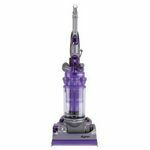 Great Vacuum, would buy again. With 2 dogs, one being a German Shepherd there's a lot of shedding going on. This vacuuming cleans to the edge. It comes with tools to clean hair off the furniture.